On 4 September 2018, the Thailand Refrigeration and Air Conditioning Nationally Appropriate Mitigation Action (RAC NAMA) Project along with partners from the Electricity Generating Authority of Thailand (EGAT) and the Office of Natural Resources and Environmental Policy and Planning (ONEP) and representatives from Sanden Intercool (Thailand) PCL and Supreme CNB Corporation Co.,Ltd participated in the ATMOsphere Asia 2018 conference in Singapore. 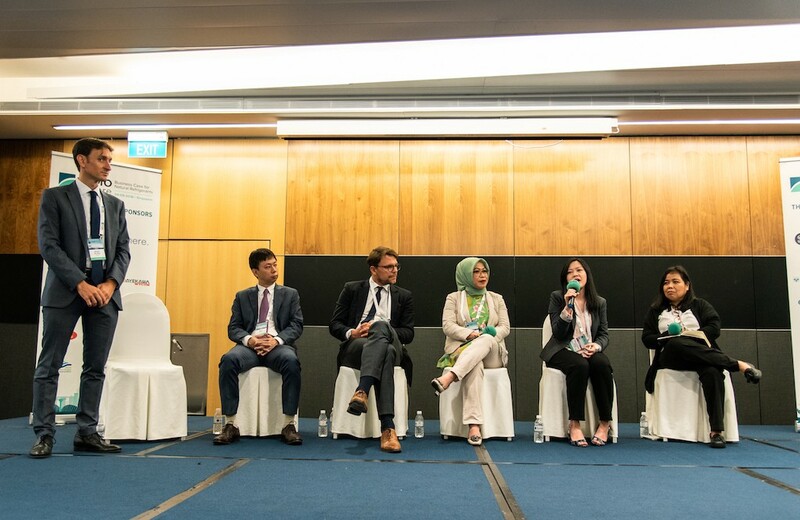 The 5th Annual ATMOsphere Asia 2018 featured discussions and interactive panels with experts from different sectors in Southeast Asia, comprising policy-makers, end-users and main producers working in the RAC sector. The programme included policy updates for Southeast Asia, market and policy trends, experience sharing from regional and international end-users and the latest case studies in the industrial refrigeration, commercial refrigeration and HVAC (Heating, ventilation, and air conditioning) sectors on natural refrigerant-based technology. 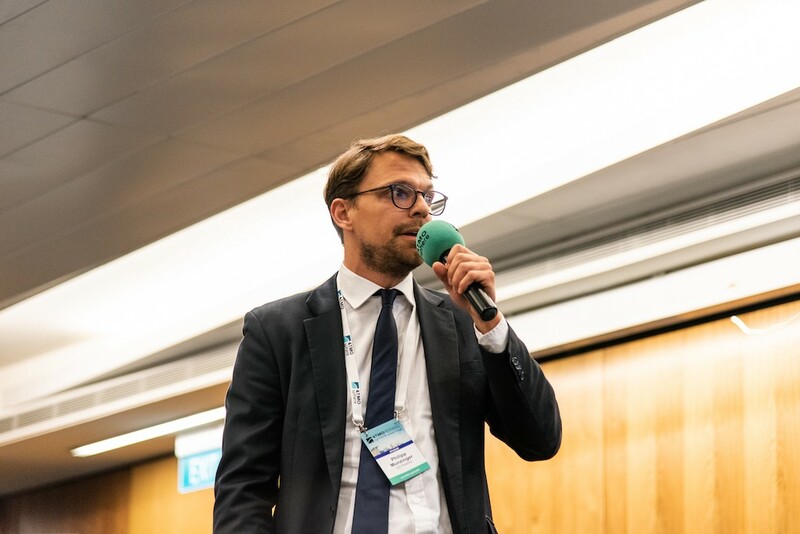 Mr. Philipp Munzinger, Project Manager from GIZ Proklima, gave a presentation on the introduction of hydrocarbon split air-conditioners in Asia and the challenges and opportunities, reiterating that governments should enable appropriate certification and registration of technicians, facilitate easier access to green technologies and take a role as informing front runners. He also gave a presentation in the policy session on training, standards and capacity building in Southeast Asia. In the policy panel, a representative from the Ministry of Environment and Forestry of Indonesia and a representative from the Malaysian Department of Environment discussed the HCFC (Hydrochlorofluorocarbons) phase-out management plan and the implementation of the Kigali Amendment in their countries. 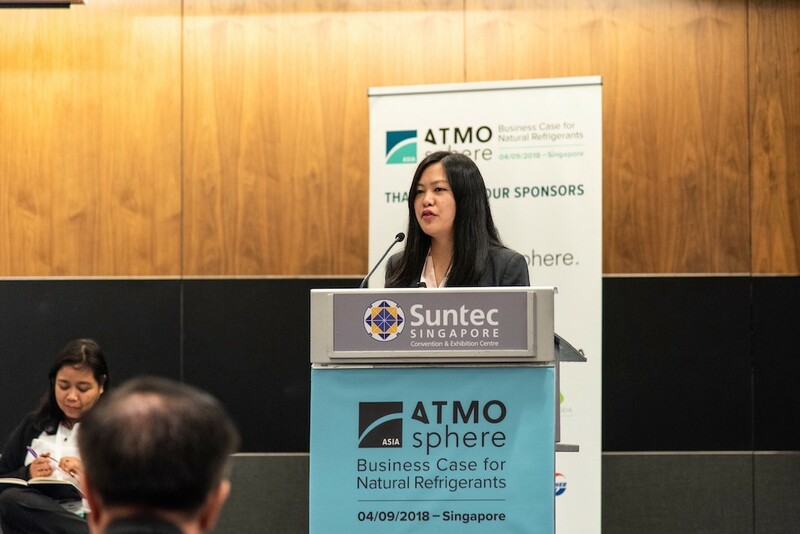 “We don’t deny that natural refrigerants will be the future of the industry so we want to properly prepare the industry in correctly servicing and maintaining these systems,” stated Amy Charlene Wong of the Department of Environment of Malaysia. Capacity-building for technicians and awareness raising were also seen as crucial areas that need to be addressed properly in order to successfully implement the use of natural refrigerants. Case studies were used to demonstrate that many countries in Southeast Asia are increasingly adopting natural refrigerants in various sectors, reflecting a high potential for growth of natural refrigerants in this region. 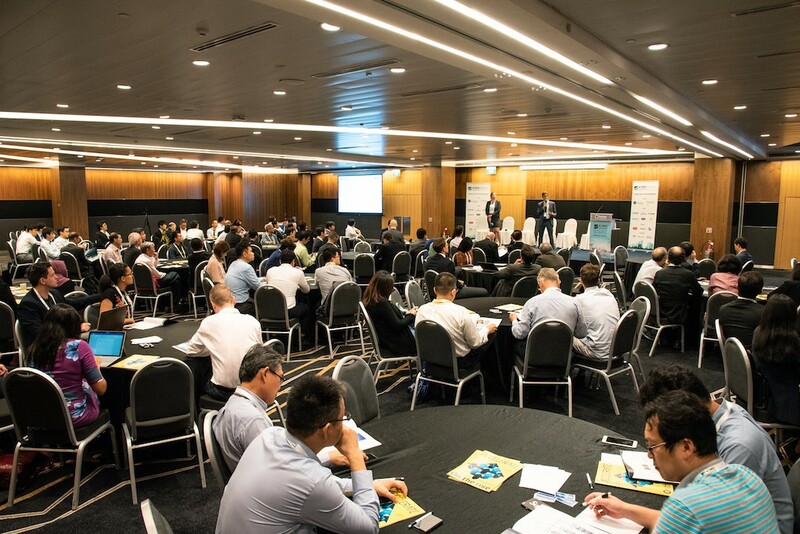 Delegates shared inputs and discussed sustainable natural refrigerant-based HVAC&R (Heating, ventilation, and air conditioning & refrigeration) solutions for Southeast Asia. This provided an opportunity to learn about the newest trends in natural refrigerant technologies as well as the challenges in this sector. 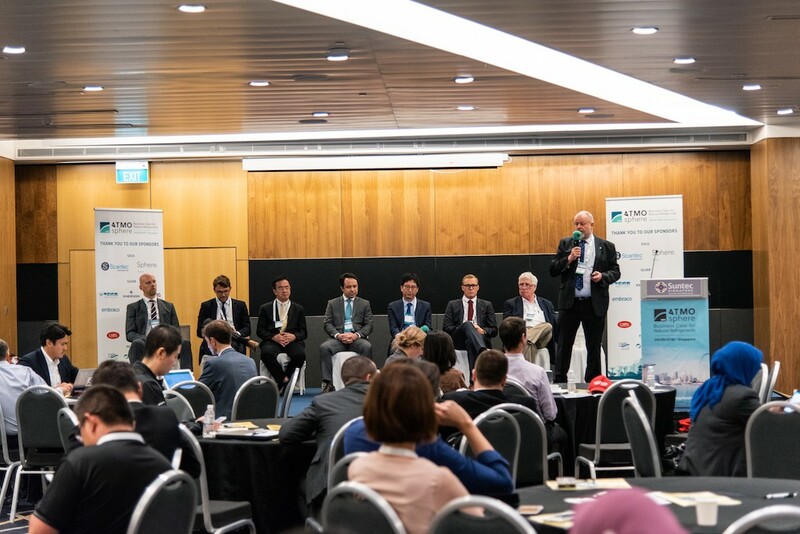 ATMOsphere Asia 2018 was organised by shecco, which specialises in integrated services and products to advance the use of five natural refrigerants – carbon dioxide (CO2), ammonia (NH3), hydrocarbons (HC), water and air – among its partners. This year, more than 150 delegates attended. Sixty-eight organisations were represented by high-level executives and experts from different industries, policy makers, manufacturers, NGOs, academia and 35 end users from 20 companies. The next ATMOsphere Asia will be held in Bangkok on 25 September 2019.